Food on the Edge is an annual two-day symposium for chefs and food enthusiasts that takes place in Galway city, the event allows chefs to come together to talk, debate, and muse on the future of the food industry in Ireland and globally. The symposium seeks to make good food accessible for everyone and aims to challenge our perspective on food and our connection to it. It all began when Symposium Director JP McMahon invited forty of the world’s best chefs to Galway to meet one another and to experience the food, culture, music and history of Galway. Join JP McMahon on the Main Stage for a talk on the vision for the future of food and how we can make things better on both a local and a global level. JP McMahon is a chef, restaurateur and author. 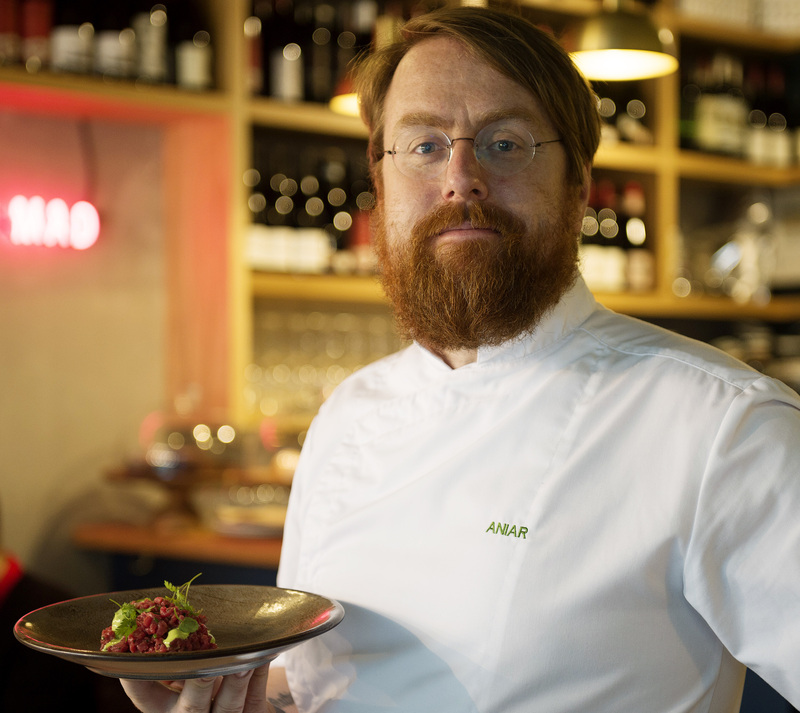 He is culinary director of the EatGalway Restaurant Group, which comprises of Michelin-starred Aniar Restaurant, award-winning Spanish restaurant Cava Bodega, and Tartare Café & Wine Bar. He also runs the Aniar Boutique Cookery School. JP is committed to the educational and ethical aspects of food, to buying and supporting the best of local and free-range produce, and engaging directly with farmers and producers. JP is the founder and plays host to one of the biggest and most talked about international food events in Europe, Food on the Edge. The inaugural event took place in Galway in October 2015, 2016, 2017 with 2018 already causing stir. The event features the best international chefs from across the globe. Director, founding and current chair of the Galway Food Festival, JP is an ambassador for Irish food and a network leader for the global Cook it Raw project. He is also the ambassador for Spanish food in Ireland in particular promoting the wines of Rías Baixas (Galicia) and Jerez. JP is currently a commissioner for Euro-Toques Ireland and sits on its Food Council. JP is a published author and writer of ‘Tapas, A Taste of Spain in Ireland’ with second book Gastropub Revolution and 10,000 Ireland currently in production. He is a food writer and has a weekly column in the Irish Times on Saturday. He is a regular contributor to Newstalk radio and a bi-weekly slot on RTÉ TV plus was the winning mentor for the RTÉ series Taste of Success.